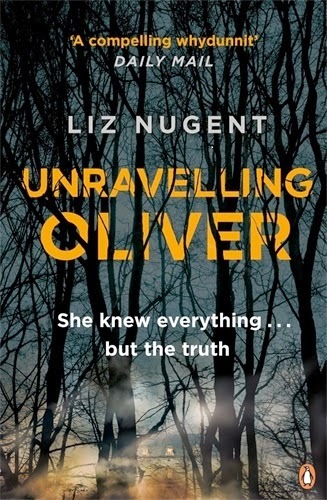 Unravelling Oliver Blog Tour Day 4 Today is Day 4 of the #MeetOliver blog tour uncovering extracts from Liz Nugent's excellent crime debut: Unravelling Oliver. Alice’s mother died suddenly in 1986, at the end of our fourth year of marriage. Thanks be to God. I can’t stand old people. Can’t stand it even more now that I am getting to be one. I used to make excuses to avoid visiting her and her doily-draped furniture. Used to pretend to be too busy to eat with them when she came to visit us. It was never pleasant to witness her struggling with her dentures, the half-wit dribbling by her side. Her death was a mixed blessing.We got the house. But we also got Alice’s imbecilic brother. The house is quite a pile on Pembroke Avenue. The brother goes by the name of Eugene. in a home for the ‘mentally handicapped’, or those with ‘special needs’, or whatever they are calling them this year, at considerable personal expense. When we got engaged, I made it very clear that children were not on the agenda. Well, I said I didn’t want children, and she agreed. I should have got that in writing. She must have been extraordinarily besotted with me to sacrifice something so fundamental to her in order to marry me. Maybe she thought I would change my mind, because it seems that lots of men do. Or maybe she knew that if I didn’t marry her, I’d marry the next quiet one that came along. Of course, five years into our marriage, Alice began to whinge, and grew more shrill with each passing month. I reminded her of our agreement. She claimed that at the time, that was what she had wanted too, but now she desperately wanted a child. I am nothing if not a man of my word. I couldn’t depend on her to protect herself, so I took control. I made a ritual of bedtime cocoa with a little crushed pill as an added extra. Alice thought that was so romantic. I haven’t exactly been a saint within our marriage. Women, by and large, are attracted to me and I do not like to disappoint them. Women you would never expect. Even Moya, for God’s sake. I eventually resent the ones who try to cling. In later years, I had begun to satisfy myself with some tarts that operated near the canal. I never objected to them, even before I became a client. They were objects of curiosity. They were cheaper and more desperate, mostly addicts with raddled bodies and ropey veins, but perfectly adequate for my needs. I would order them into a shower before any congress was allowed and I always provided a new toothbrush. Some of them took it for a gift. Pathetic. They are usually too emaciated to be good- looking. One would think that they might make an effort to make themselves attractive. Alas, they were only selling their various orifices; the packaging was immaterial. But still, they held a fascination for me. After all, my mother was one, or so my father said. Oliver Ryan is a handsome and charismatic success story. He lives in the suburbs with his wife, Alice, who illustrates his award-winning children's books and gives him her unstinting devotion. Their life together is one of enviable privilege and ease - enviable until, one evening after supper, Oliver attacks Alice and beats her into a coma. tomorrow for the next extract! 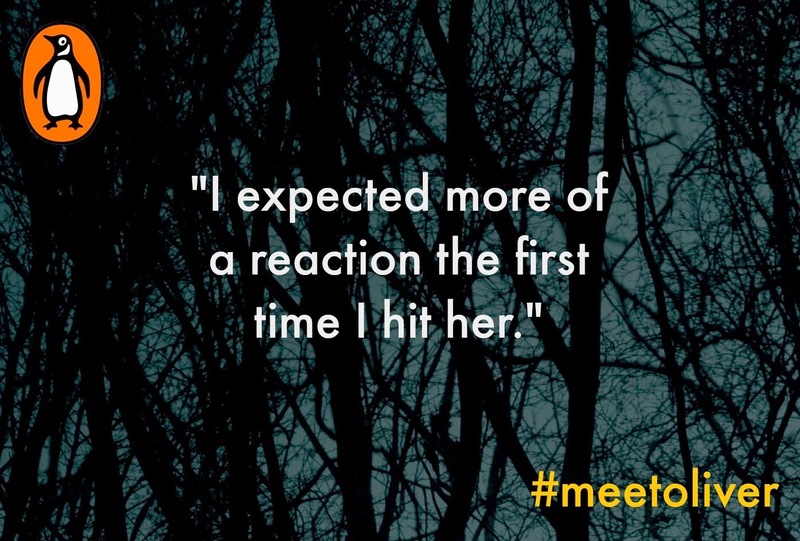 Thank you to Catherine Ryan Howard at Penguin for organising the blog tour and allowing me to take part.